Bristol Concert Orchestra (BCO) is one of Bristol’s largest and most versatile orchestras. In recent years, under the expert direction of Stefan Hofkes, the orchestra has built up an excellent reputation, performing in Bristol’s main concert venues with top national and international soloists, attracting critical acclaim. The orchestra is made up of talented amateur players and stages three main concerts per year at St George’s Bristol (or periodically other venues such as St Mary Redcliffe Church and Colston Hall). Repertoire is concentrated on large-scale symphonic works from the late romantic period onward, and concertos with accomplished and internationally known soloists such as Matthew Barley and Ashley Wass in recent years. Conducted by Stefan Hofkes since 1997, the orchestra has gone from strength to strength under his leadership, expanding both the breadth and depth of music played and developing a relationship of musical spirit readily apparent in the performances under this partnership. 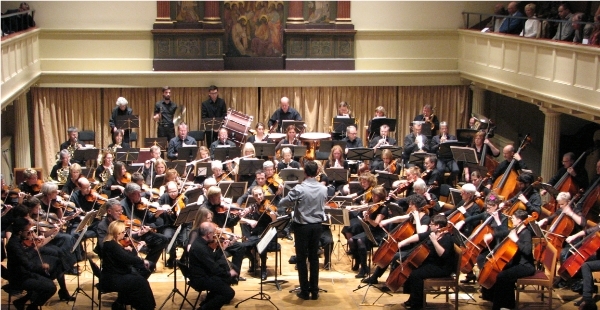 In addition to the main concert season, the orchestra is often invited to play for choirs and other organisations and also stages other annual events, such as the BCO Sinfonietta (chamber orchestra) playing smaller scale baroque and classical works in the summer at St Mary’s Church, Olveston, and, of particular importance to the orchestra, the annual free concert for children. These concerts of narrated versions of abridged classical works (such as Tchaikovsky ballets) have enabled several thousand Bristol families to enjoy their first experience of live orchestral music since the inception of the series in 2010. To keep up to date with orchestra news and future events, sign up to receive free email newsletters. BCO is a Registered Charity in England and Wales – 1128196.